Hanoi (VNA) - The Bank for Investment and Development of Vietnam (BIDV) is the largest State-owned bank by total assets, according to Moody's Investors Service. The information was released following Moody's recent rating of eight Vietnamese banks, including BIDV, Military Commercial Joint Stock Bank, Saigon-Hanoi Commercial Joint Stock Bank, Vietnam Bank for Industry and Trade, Vietnam International Bank, An Binh Commercial Joint Stock Bank, Asia Commercial Bank and Vietnam Technological and Comm'l JSB. Moody’s put BIDV's local currency deposit and issuer ratings at B1 and its baseline credit assessment caa1. BIDV's foreign currency deposit rating is B2, in line with Vietnam's foreign currency deposit ceiling. The outlook for its long-term credit rating is stable. BIDV's funding and liquidity profile benefits from depositary relationships with small-and medium-sized enterprises, Moody’s said. BIDV's B1 long-term local currency deposit rating was selected because Moody’s continues to factor in the high level of support for the bank from the Vietnamese Government. This is the eleventh consecutive year BIDV has invited Moody’s to rate the bank, aiming to affirm its commitment to operating transparently and applying top international standards. The bank reported that as of September 30, 2016, its total assets were 956 trillion VND (43.02 billion USD), up 11.5 percent against the figure recorded earlier this year. The bank’s accumulated mobilised capital exceeded 887 trillion VND (40 billion USD), of which 754 trillion VND (33.9 billion USD) was mobilised from economic organisations and individuals, up 14.22 percent from the beginning of the year. 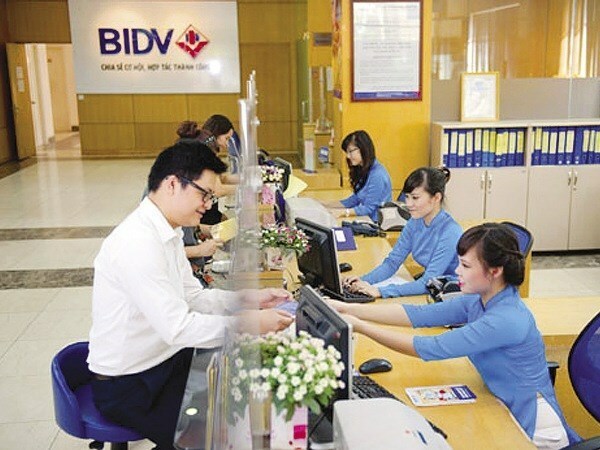 BIDV’s credit increased from earlier this year in line with the credit growth direction set for 2016 by the State Bank of Vietnam, focusing on priority areas instructed by the Government and the central bank. As of September 30, 2016 the bank’s total credit and investment exceeded 912 trillion VND (41.04 billion USD), representing an increase of 14.2 percent compared with the year’s beginning. Its pre-tax profit reached over 5.6 trillion VND (252 million USD), a year-on-year rise of 6.7 percent. The bank has completed 71 percent of its yearly target. With its outstanding performance, BIDV has been honoured as the largest corporate income tax payer in Vietnam and listed as one of the world’s largest and most powerful enterprises by US business magazine Forbes. It also received awards from magazines like Asiamoney, The Asian Banker, Retail Banker International and the Vietnam Economic Times.